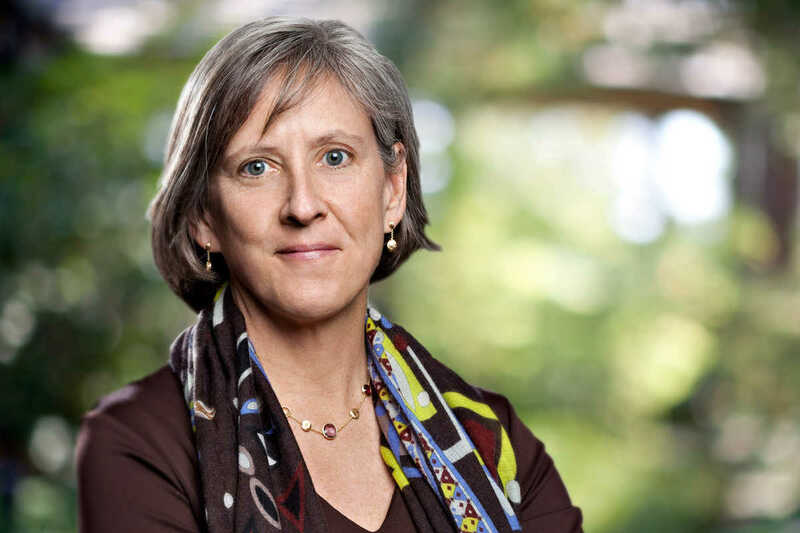 It’s that time of year when Mary Meeker descends from whatever you might call the analyst version of Mount Olympus and bestows upon us the gift of 197 pages of trends for the coming year, enough charts to fuel thousands of tweets and the classic “ran out of time” section. It’s a mountain of work and a mountain of information to consume. The biggest mistake we could make? Taking the data, charts and individual trends at face value. The opportunity at hand? Connecting the dots between multiple trends to define underlying, market-shifting concepts. This year, we’re seeing a simple, but transformative thread-through: relevancy is the new currency. Relevancy has been a buzzword in marketing since the first ecommerce transaction took place. But it’s having a renaissance as the technologies needed to actually deliver on true, individual level relevancy are now changing the way marketers think about, well, marketing (segmentation, cross-channel connectivity, customer lifetime value and so on and so forth). Here are five slides from vastly different sections of her presentation that take the micro trends to form one marketing mega-trend. The fact that mobile internet usage is now ahead of desktop/laptop use isn’t that surprising. What’s different: this illustrates that the way consumers connect with content is completely changing. Last year mobile was a main priority for Meeker and what we’re seeing this year is that she speaks to the fact that mobile screen sizes have forever altered video consumption (think about how it’s gone from your big screen TV to being something you consume with your phone in a vertical alignment rather than horizontal). Mobile phones aren’t just used on the go. We’re always attached and switched on. But the length of time we spend being engaged via mobile is far less than when we engage via desktop, and the likelihood of us purchasing via mobile is drastically different as well. Bottom line: if you’re not serving relevant content to your customers via email, onsite and your app, you’re going to lose them to a competitor who has made the relevancy leap. Push notifications have a ton of functional potential, but before you leap into them, think about just how invasive they can be on your phone… and now think about how much more invasive your marketing pushes will be when they’re pinging on customers’ wrists. Take that line of thinking just one step further and remember that your email messages are also going to show up on the wrist of your consumers. Email is our marketing channel with the highest ROI, but with the Apple Watch, it just became the channel that has the highest potential of annoying the hell out of any consumer. If you’re not serving up something that is truly relevant, you’ll see opt-outs rise faster than ever before while seeing your revenue dip in direct relation. And if you don’t have device-level information on each customer and can’t control message frequency across channels, don’t even think about a combination of push nos and email. It’ll all end up on the wrist and you’ll end up in the trash. So, once again: relevancy = currency. Think about how often your digital and offline decisions are fueled by user generated content (UGC). Need a restaurant to take your family? Checking Yelp reviews is a must. Going on vacation to a new city? TripAdvisor gives you information from peers all over the world on what to do and see. And, of course, reading 100 reviews on Amazon before ordering a new tube of toothpaste is basically the norm these days. The fact is, UGC is all around us and it’s become an organic part of how we use the web. It affects our real life decisions. It adds unparalleled levels of context to the information we seek, and it’s also the biggest driver for consumer trust with brands. There’s nothing that ties a consumer to a brand more so than being able to be a part of the “tribe.” If you can create a place for them to create, connect and share, you’re not just a provider, you’re a platform. That’s what this is about – creating a connection that’s ever more relevant so that you drive engagement, drive loyalty and drive… REVENUE. We’re going to see this become even more integrated into aspects of all web brands, whether ecommerce, publisher, B2B. Millennials have been leading the charge with UGC, but Gen Z will continue to drive this trend towards real-time content that permeate all industries. Brands MUST be ready for what’s to come, and when you consider the next slide in the series, you’ll get why this is so essential. In one generation we’ve gone from there being a 1 in 5 chance of coming across a total narcissist to a 4 in 5 chance. I guess we’re all kind of a big deal these days. And if we’re focused on ourselves, it kind of makes sense that we’d want the brands we interact with to be that way as well. No need for a long explanation here. Narcissism demands / begets relevancy. Put the data you have to good use and give the Millennials what they each want. As a fellow Brit, I hate to say this, but: Mick Jagger be damned… we actually can satisfy everything want we have. Cars, housing, food, repairs, clothes… it’s all accessible either within minutes or hours and all we have to do is tap, swipe, tap. It’s not just about convenience here, it’s the efficiency factor that really matters. Not in the on-demand services world? Doesn’t matter. This still applies to you. While you’re not going to deliver pizza in 20 minutes, what you have to deliver is an experience that makes sense to that individual user in 2 seconds. So regardless of what industry you’re in, people want what they want when they want it. Once again, relevancy drives currency. Meeker’s report is always a must read. But more than anything, it’s a must digest. For me, it’s screaming relevancy. I challenge any owner, leader and marketer not to take the trends at face value. Dig a bit deeper and actually make them relevant to your own business. What were your takeaways from the report this year?